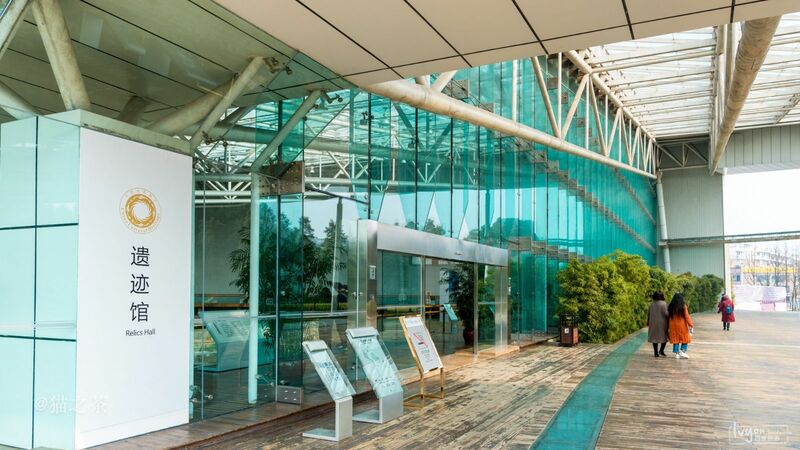 The Exhibition Hall with the coverage of 16,000 square meters is built into sloping-roof and steel-framed square structure in the north of Modihe River. 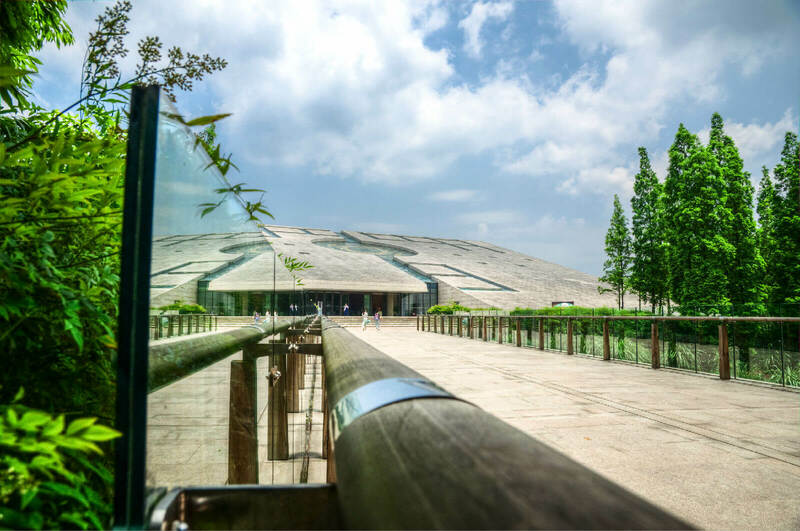 It has 5 exhibition rooms with the theme of Primitive Homeland, King Palace at a Glance, Immortal Heaven and Earth, Peak of Perfection and Seeking Answers to the Mysteries of Jinsha, displaying the brilliance and glory of ancient Jinsha by the modern technology in different visual angles such as the eco-environment, architecture style, production and living, funeral custom and religious worship activity. Here, you can see the 4D film Dreaming Back to Jinsha. It could bring you to traverse the space-time back to 3,000 years to see the brilliant ancient Shu kingdom from Duyu Dynasty to Kaiming Dynasty. 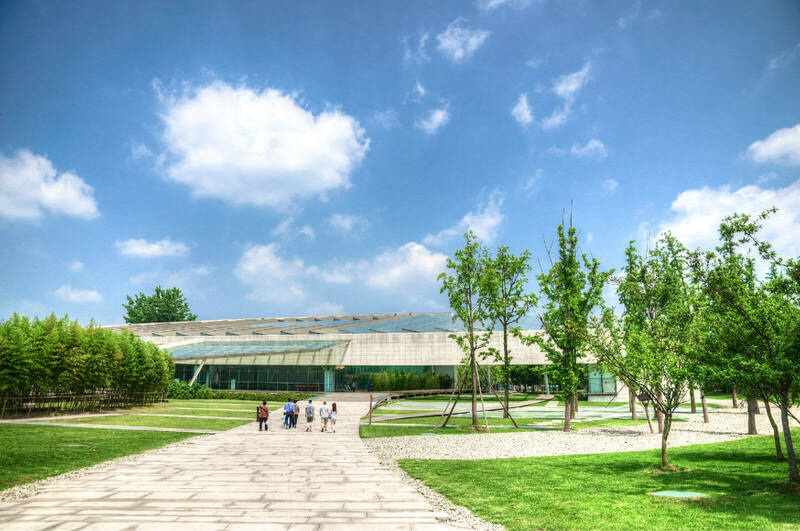 The Exhibition Hall also offers service facilities, such as Press Briefing Room, Academic Lecture Room, Jinsha Souvenir Shop, Flavor of Jinsha Restaurant Bar, Information Desk, and Deposit Center. 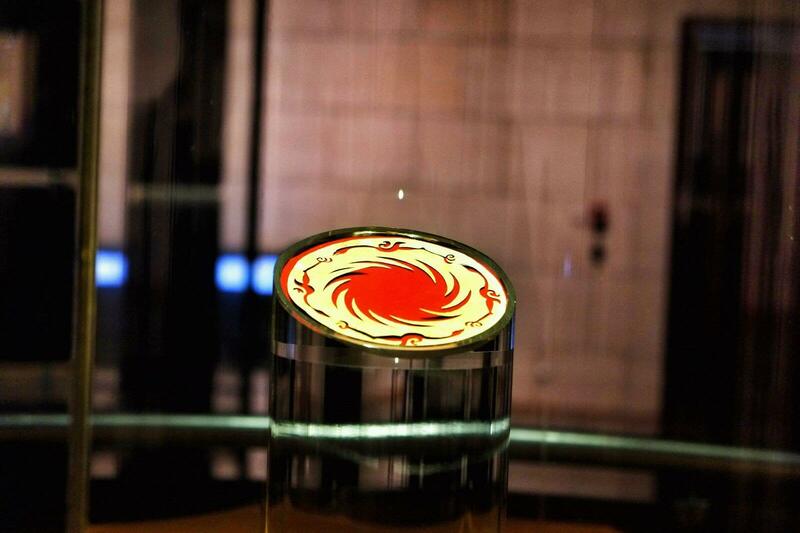 In December, 2011, the pattern of The Sun and Immortal Bird Gold Ornament has been selected as core pattern of City Logo Design of Chengdu. 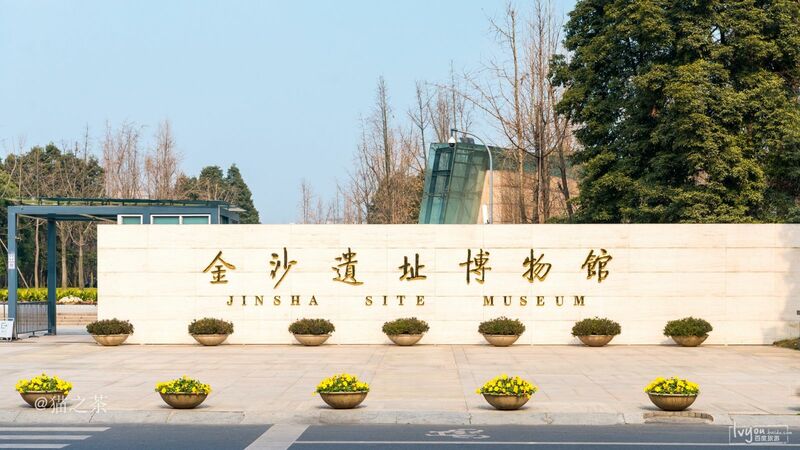 Today, Jinsha Site Museum is not only the symbolic cultural landscape of profound Chengdu history, but also the indispensable exhibition of ancient Shu civilization, social education base for adolescents, and leisure place for tourists’ visiting. 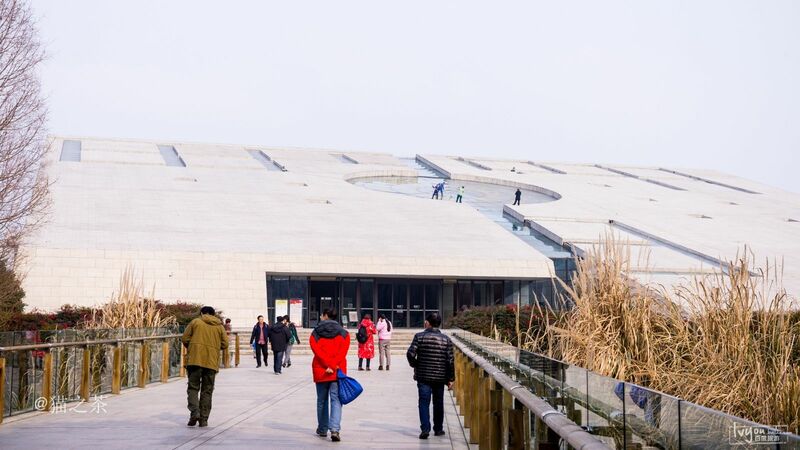 Since opening to the public on April 16th, 2007, we have done the utmost to honor our mission that let people step into Jinsha and let Jinsha go to the world, and up till now, the museum has received 5 million visitors from home and abroad. 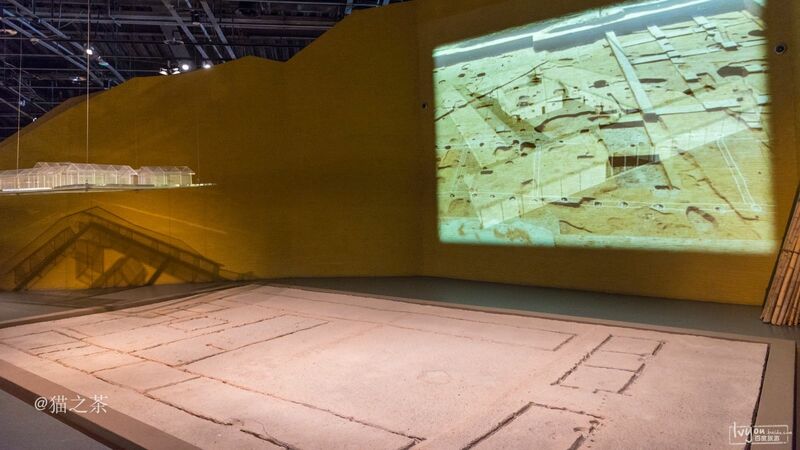 ❶The Jinsha Site was found in February 2001 in urban Chengdu. It covers 5 square-kilometers, and dates back to 12th to 7th century B.C. (approximately 2900 – 3200 years ago). It was the capital of the ancient Shu Kingdom, which is considered to be the ancient civilization center along Yangtze River. 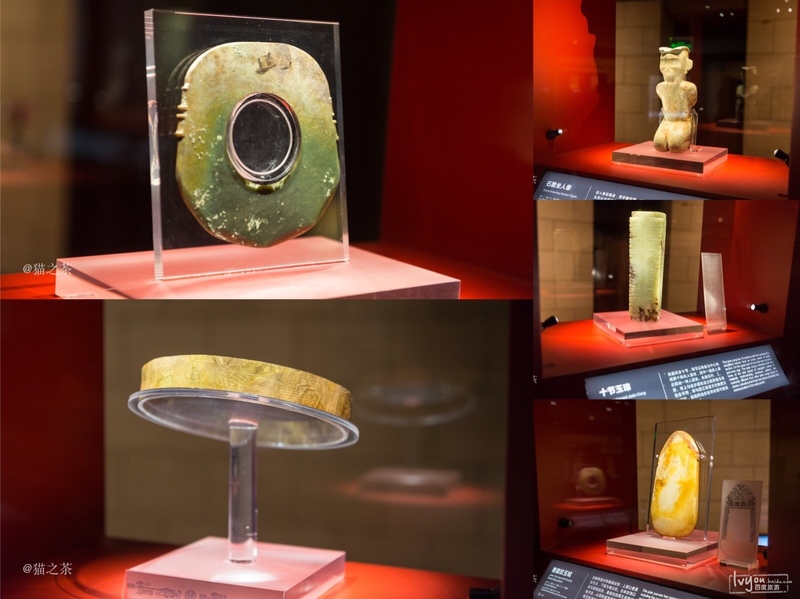 It is the first major archaeological discovery in China at the beginning of the 21st century, and also a significant archaeological event following the discovery of the Sanxingdui site in Sichuan Province. 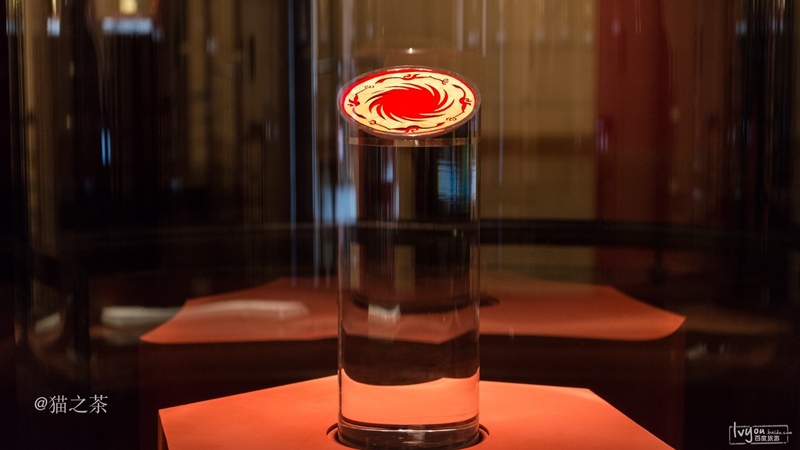 Therefore, it has become one of the Ten Major Archaeological Discoveries of China in 2001. 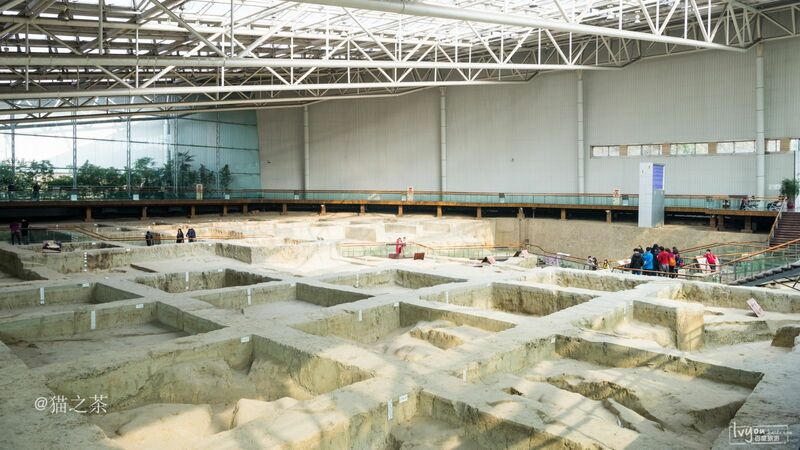 ❷So far, archaeologists have unearthed important features of large-scale palace foundation, sacrificial area, residential area, and burial site. 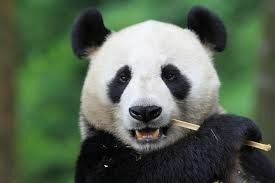 On the site, a great variety of artifacts in large numbers were unearthed, including more than 5,000 articles of gold, bronze, jade, stone, ivory, and lacquered wood, as well as millions of pottery potsherds, tons of ivory and thousands of boar tusks and deer horns. 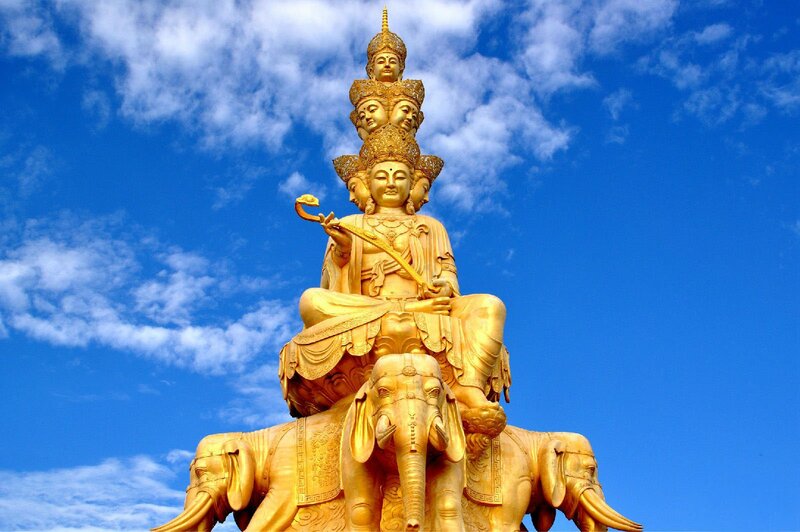 Therefore, it is considered that the Jinsha Site has unearthed the richest gold and jade wares and the densest elephant tusks in the world. 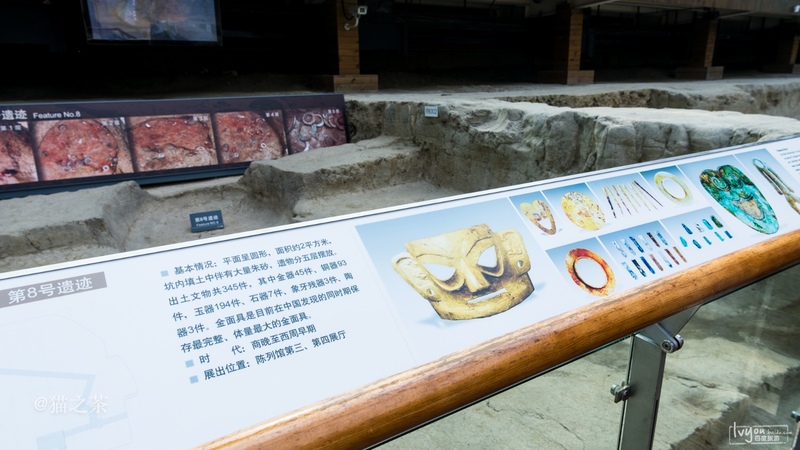 At present, it can be confirmed that after the decline of Sanxingdui civilization, Jinsha Site should be another arisen center of politics, economy and culture in Chengdu Plain mainly from late Shang Dynasty to Western Zhou Dynasty, and also one of the most important archaeological sites of Pre-Qin period in China. 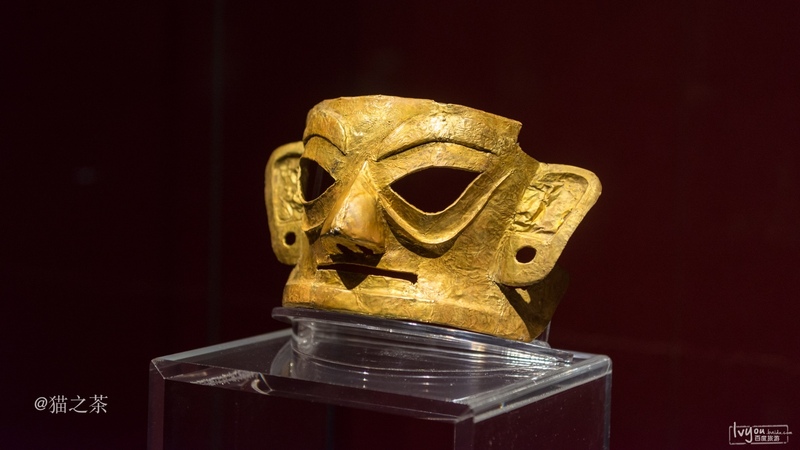 ❸The discovery of Jinsha Site is of great significance for the study of Shu culture, including its origin, development, and decline, and provides convincing evidence for an explanation of the abrupt disappearance of Sanxingdui culture. Jinsha Site revives the lost glory in history, and unveils the prosperity of ancient Shu kingdom.The site, together with the ruins of prehistorical cities in Chengdu Plain, the Sanxingdui site and the canoe-shape coffin graves of the Warring States period, represent the four different stages of ancient Shu culture. The discoveries not only have proved that the Chengdu Plain was the center of ancient civilization in the upper reaches of the Yangtze, and an important component of Chinese civilization, but also provide crucial evidence to the theory that the origins of ancient Chinese civilization is a unity of pluralism. 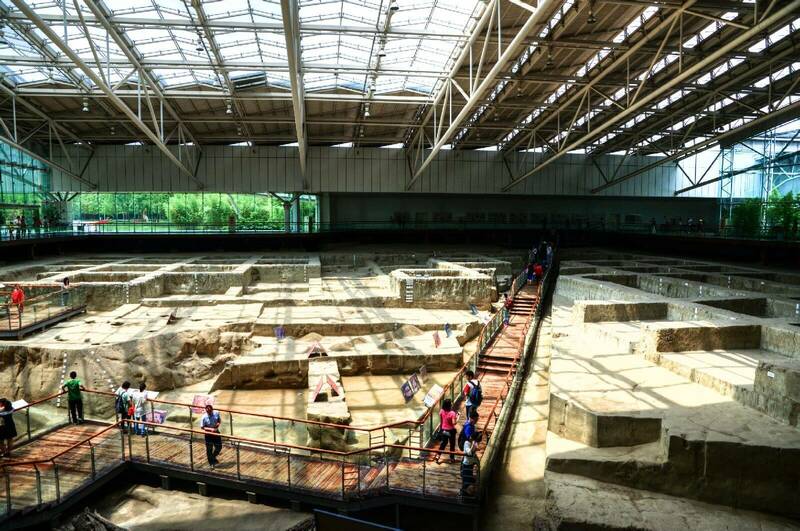 The discovery of Jinsha Site has pushed forward the Chengdu history from 2,300 years ago to 3,000 years ago, which offers an opportunity to improve the popularity of Chengdu, the Historical and Cultural City of China. Since the discovery was unknown to the public, the CPC and the state leaders have attached great importance to the work in Jinsha Site. The central leaders of China have inspected the site successively, and indicated to continue good job on excavation, conservation and construction of the site. Lots of famous experts have also come here to investigate and offer suggestions on the work of the site. After discovery, all levels of party committee have drawn great attention to the conservation work of site and construction work of the museum. 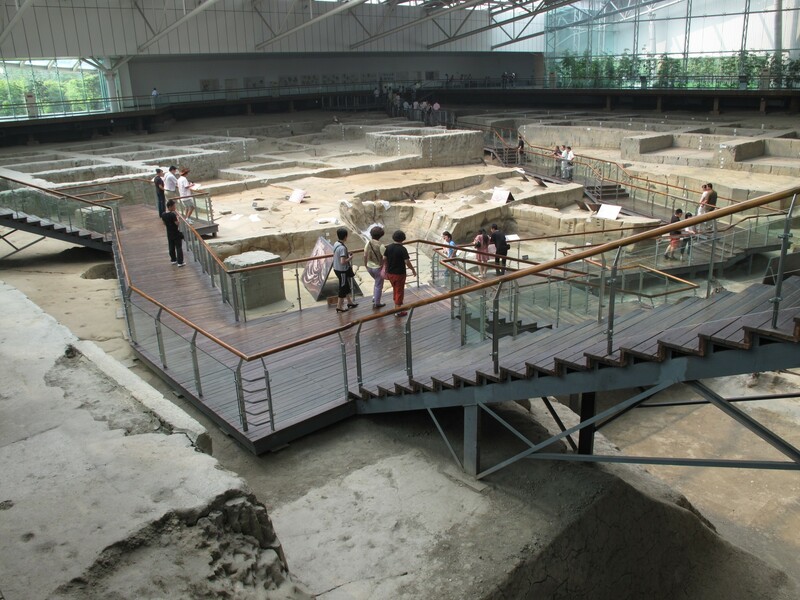 In April, 2007, the Jinsha Site Museum with 3,000 years’ history of Chengdu has completed to build on the original site. 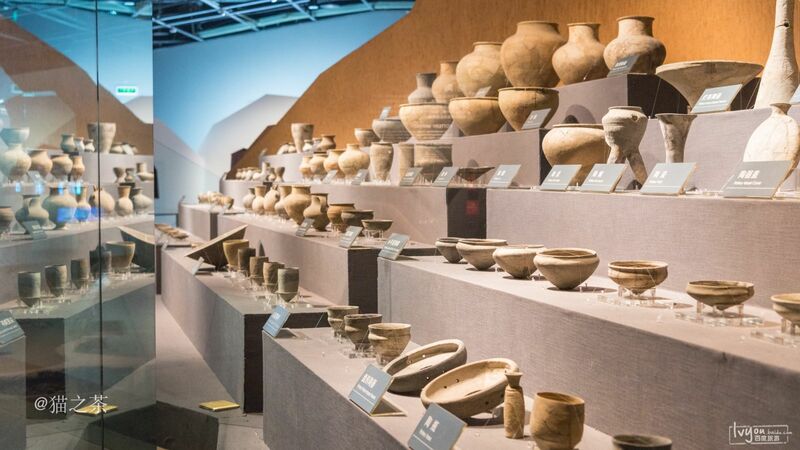 This is a site museum for the conservation, study and exhibition on Jinsha culture and ancient Shu civilization, which is composed of Relics Hall, Exhibition Hall, Tourist Center, Preservation and Restoration Center, Jinsha Theatre and Heritage Park with total coverage of 300,000 square meters and floor area of 38,000 square meters. 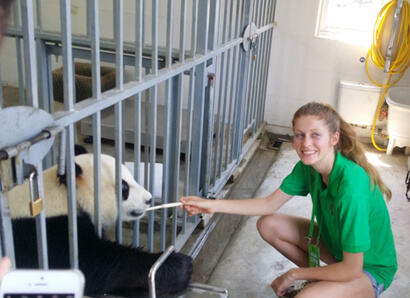 Moreover, it is also the modern garden-type museum with the function of education, research, and recreation, and also the symbolic landscape for the profound history of Chengdu. 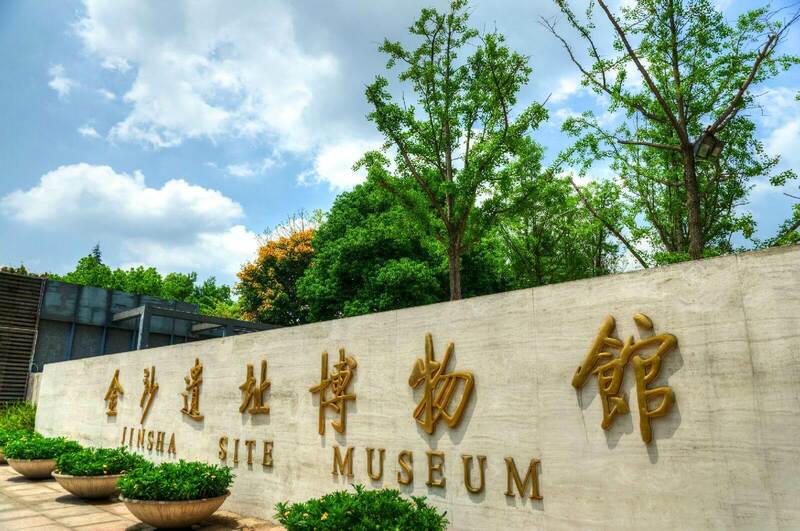 The Museum has two main constructions by both sides of Modihe River, Relics Hall and Exhibition Hall, which is the implementation of the idea of round sky and square earth for architectural features,and regarded as the landmark building of Chengdu. Relics Hall covering an area of 7,588 square meters is built into sloping-roof and steel-framed semi-circle structure in the east of museum and the south of Modihe River. 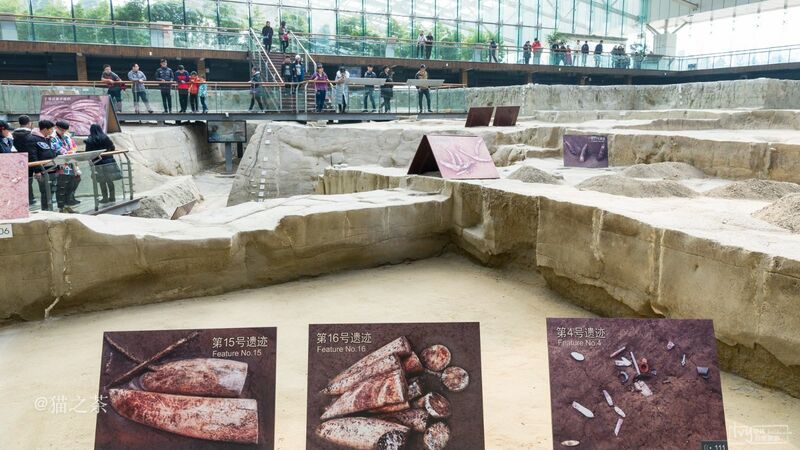 Relics Hall is the excavation site located on the ruins of ancient sacrificial area, and also the best-preserved site with the longest history and largest amounts of cultural relics. The site is protected originally, so that the tourists can sense the magnificent scene of sacrificial ceremony held by ancient Shu kingdom along the river 3,000 years ago.Moreover, you can acquaint yourself with the meticulous and complicated excavation work from 2001 to now on the spot where the precious cultural relics are unearthed.